Custom Personalized Cuff links -Personalized Groom and Bride initials, wedding date in white background/black writing or custom colors of your choice. Options to choose high quality solid stainless steel or 18K gold plated over solid stainless steel. 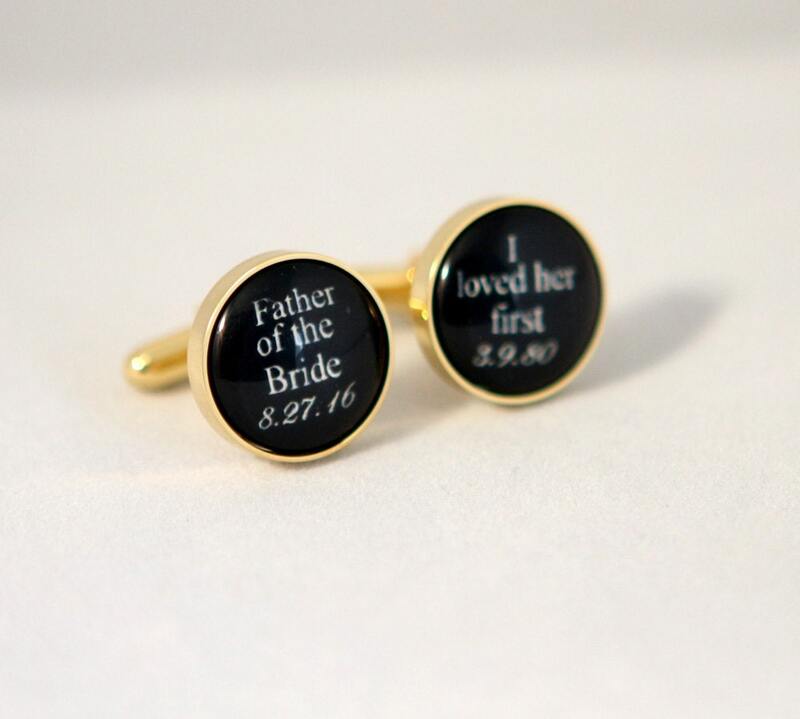 •♥ High quality 18K gold plated over solid stainless steel.